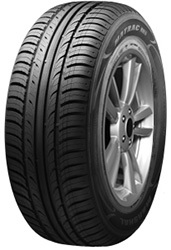 For a tyre with great performance in all areas, look no further than Marshal’s Matrac MH11. Outstanding dry weather performance is complimented with excellent wet weather results. This applies to traction, steering and cornering stability in all environments, situations and conditions so you will always be in control of your vehicle. The tread pattern is specifically designed to improve water dispersion and minimise the risk of aquaplaning so don’t pass up on Matrac MH11 tyres. For a tyre with great performance in all areas, look no further than Marshal’s Matrac MH11. Outstanding dry weather performance is complimented with excellent wet weather results.This applies to traction, steering and cornering stability in all environments, situations and conditions so you will always be in control of your vehicle. The tread pattern is specifically designed to improve water dispersion and minimise the risk of aquaplaning so don’t pass up on Matrac MH11 tyres.